We have established ourselves as reputed enterprise offering high quality Nail Pouches. 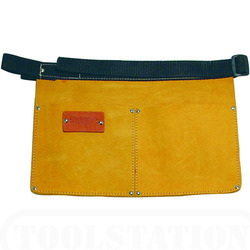 Made from highly durable material the pouches come with belt for convenient grip to the tool vest of professional carpenters and builders. Designed with two pockets to store and organize different sizes of nails the long lasting pouches are accessible from us at the best price in the industry. 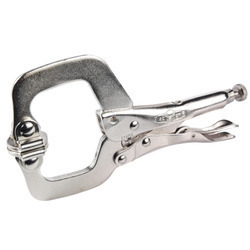 With the advantage of extensive prowess, we are involved in offering high quality Top Cutters. 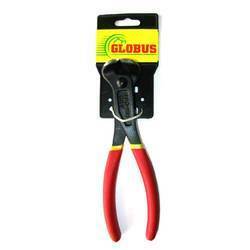 We take pride in presenting the robust quality tool used for cutting medium and hard wires. 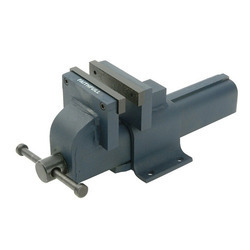 The quality compliant material and innovative design of these cutters are tested rigorously for efficient cutting of soft-annealed tin wire that is used for fixing steel reinforcing rods. 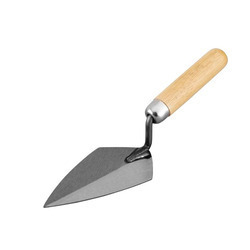 Further, the hand working tool is accessible from us at a leading price. We are reckoned as prominent firm of supreme quality Caulking Guns. Fitted with a quality compliant tube these guns are most efficient tool designed to bond a wide range of material. The offered guns feature a quick release press design which ensures superior performance in sealing gaps of metal, glass, wood and ceramic material. Further, the offered guns are accessible from us at a leading price. 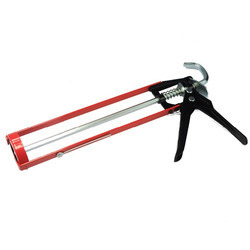 We are recognized as the industry leaders by offering high grade Skeleton Type Caulking Guns. Designed with a solid frame, end hook and ratchet action the offered guns are widely utilized for domestic and industrial usage. Featuring an innovative design these guns are filled with material that is used for sealing gaps and cracks. 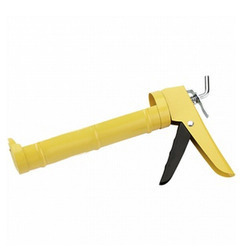 The easy to operate and long lasting caulking guns are accessible from us in varied sizes. The range of Combination Spanners is available in different material specifications and we make sure that these Combination Spanners are absolutely free from defects and faults. 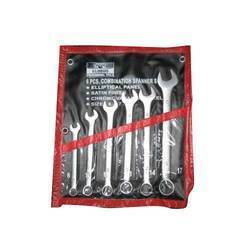 These Combination Spanners are also customized according to our customers given specifications and requirements. 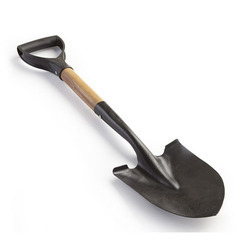 We are offering Forged Hoes to our clients. 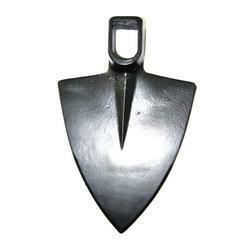 We are offering Indusrtrial Shovel to our clients. We are offering Vise Clamps to our clients. Looking for Hand Working Tools ?